Golden Wolves Slots Game by Konami: Take a FREE Pokies Spin Here. It is developed by a very popular video game developing Japanese company KONAMI. 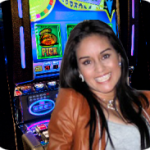 The game consists of five slot reels and thirty paylines. To play the game, the player has to set the number of bets per payline and start spinning the reels. Only the highest combination of symbols on the payline will be payed out. Each symbol has different values which will be placed in each of the five reels and it plays the major role for the maximum win amount of 10,000 points. Let us see the game symbols and their payouts based on the combination of the symbols in the below mentioned topic. The game consists of different types of symbols such as animal symbols, bird symbol, letter and number symbols. Apart from these four types, there are other two types of symbols which comes under wild (bonus) feature category. 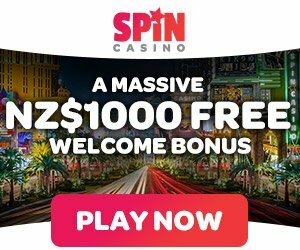 The special feature of the red gem is that if the spin has the combination of any 3,4 or 5 reels containing a red gem, the player will get 10, 12 or 20 free spins respectively. 2x golden wolves symbols = 10 points. Further the wolf symbol can also act as a substitute for any of the symbols that is in the game except the red gem symbol. In case in a spin if both the golden wolf and red gem appears in the same line, then the red gem turns into a golden wolf. There are a total of 4 letter symbols in the game namely A, K, Q, J each carries a value on them as mentioned below. There are two number symbols such as 9 and 10. Their values are mentioned below. The game has thirty paylines which is fixed and therefore cannot be altered by the players. Each payline is different and occupies different positions in the real. Payline 1: It is a horizontal line that travels at the middle from the 1st reel to the fifth reel in the slot machine. Payline 2: It is a horizontal line that travels at the top from the 1st reel to the fifth reel in the slot machine. Payline 3: It is a horizontal line that travels at the bottom from the 1st reel to the fifth reel in the slot machine. Payline 5: It is the inverted form of payline 4, which is in the shape of inverted V.
Payline 6: It starts from the middle of the 1st reel travels along the bottom of the 2nd, 3rd and 4th reel before touching the middle of the 5th reel. Payline 7: It is the inverted form of 6th payline. Payline 8: It starts from the bottom of the 1st reel travels to the middle of the third real and touches the bottom of the 5th reel. Payline 9: Is the inverted shape of 8th payline. Payline 10: It is same as the payline 9 but it is kept one row below than the 9th payline. Payline 11: It is same as the payline 8 but it is kept one row above than the 8th payline. Payline 12: It resembles the letter ‘W’ starting from the 1st reel and ending at the 5th reel. Payline 16: The shape and size of this payline is same as the 15th payline, but it is kept one row above than the 15th payline. Payline 17: It is the inverted form of 16th payline, kept one row below the 14th payline. Payline 18: It is the same as the 6th payline, but it is kept one row above than the payline 6. Payline 19: It is the inverted form of 18th payline, kept one row below the 7th payline. Payline 20: It starts from the top of the first reel, comes to the bottom and touches the reels 2,3 and 4 before touching the top of the 5th reel. Payline 21: It is the inverted form of the 20th payline. Payline 24,25,26,27: They all are inverted to each other, resembling a ‘V’ with wings, starting from the top of the 1st reel and ending at the end of 5th reel. Payline 28: It starts from the top of the 1st and 2nd reels, touches the middle part of the 3rd reel and ends at the bottom part touching the 4th and 5th reels. Payline 29: It is the inverted form of the 28th payline. Payline 30: It starts from the middle of 1st reel goes down to the bottom of 2nd reel and again climbs up touching the middle and top part of the reels 3 and 4 before ending at the middle part of 5th reel. Golden Wolves is a must play Konami pokies game, best of all it’s free to play here. We rate this slot a solid 7.5 points from 10.